This quest gives you the ability to travel between the Unredeemed transit statues of Nascense without using insignias. You need at least 5 Insignias of Thrak to complete it without hugging reclaim back to the garden. The absolute minimum are 2 Insignias of Thrak. Insignias drop from Redeemed mobs and creatures as well as from the Barking Chimeras which are all not affiliated with the Unredeemed faction. It is advisable to save in the Thrak Garden before you start the quest. 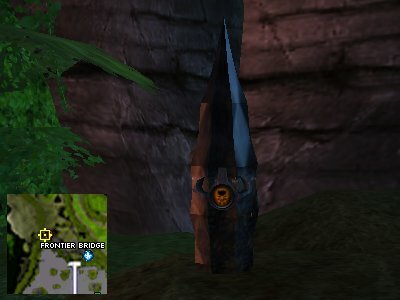 The first statue leading to the Garden of Thrak is located near the Frontier Bridge, please see the pictures below. 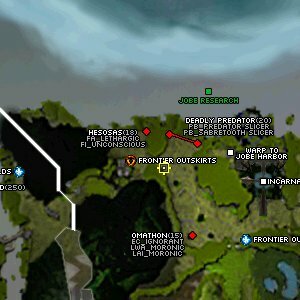 Use the teleporter to 'The Harbour' area of Jobe City and head for the 'Jobe Research' door. After stepping through that door you'll find a gate leading to Nascence - Frontier Bridge in the north-east. Just after stepping off that bridge you'll find the statue to the Garden of Thrak to your left. The Barking Chimeras you will find there too... time to hunt for the required Insignias of Thrak. 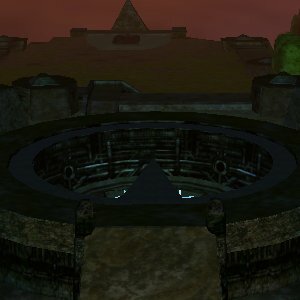 Assuming you are still title level 1 the fastest way to get started is by entering the Garden of Thrak and save your character there. In case you are not familiar with the gardens in the shadowlands - especially the Garden of Thrak at this point, below are a two pictures. 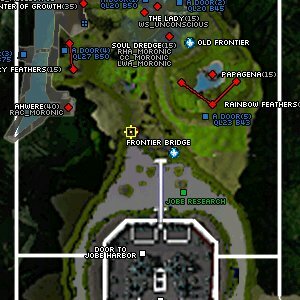 First picture shows the garden in the direction you should be facing right after entering. 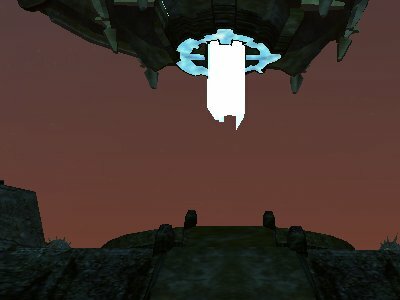 The second picture shows the save point you need to step upon, it is located under the machine floating in the air. 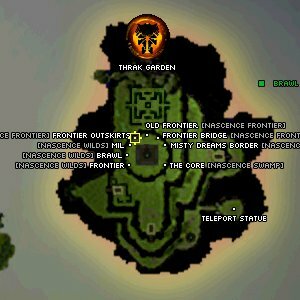 Once you have saved in the Garden of Thrak - which is really advised(!) - you need to find the Exit to Frontier Outskirts. I hope the pictures below help you finding this exit. After having left the Garden of Thrak by the Exit to Frontier Outskirts head eastward and you should stumble upon Veronica Escobar. Having a chat with her should reward you with an Ancient Device and a mission. After receiving the mission along with the device, head back to the Garden of Thrak. Now you have to head for Prophet Yutt Thrak, who is located near the Exit to Brawl. He... or she? ... is the only one in the fortress you arrive in. Speak to Prophet Yutt Thrak and continue untill you have received two missions. 1. You agreed to find information about the ancient looking device given to you by Veronica Escobar. 2. 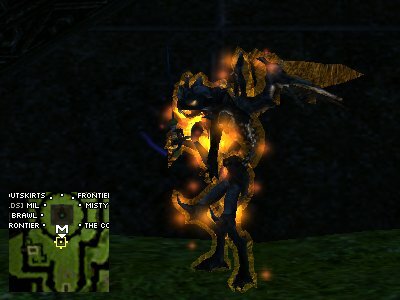 You were assigned the task to bring back something indicating the Divine presence of Thrak in Nascence. After having received the two missions close the conversation and start talking with him again. 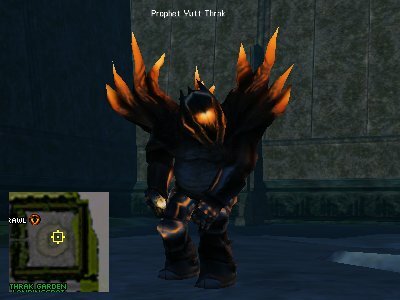 Show an Insignia of Thrak to Prophet Yutt Thrak. Now head back to the garden... whichever way you prefer. 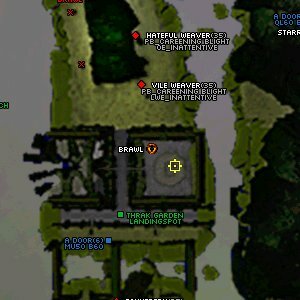 The following milestone in this quest is located in the Garden of Thrak. Find Hypnagogic Urga-Lum Thrak little south of the save point, downstairs. A conversation with Hypnagogic Urga-Lum Thrak about the Ancient Device will give you the mission to claim three souls with it. This is the time you have to activate the Ancient Device with an Insignia of Thrak. 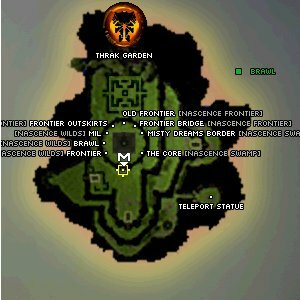 Fastest way to your mission destination is either leaving the Garden of Thrak by Exit to Frontier Bridge. You have to find three Dreaming Silvertails - like shown on the picture below. 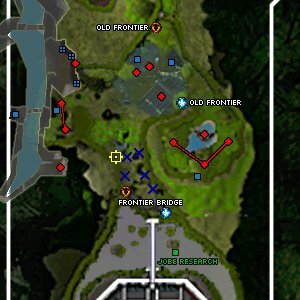 There are 6 or 7 located little north of Frontier Bridge, the blue x-marks show the approximate locations you can find them. For completing your task you have to claim the soul of the three (individual) Dreaming Silvertails, keep the conversation window open untill you have received back your Ancient Pattern Analyzer. 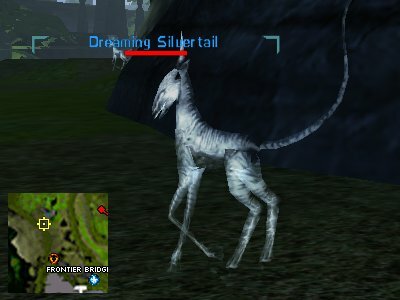 Upon successful soul claiming the Dreaming Silvertail will metamorph to a Cursed Silvertail and you can not repeat with the same. However it would be a nice deed to exterminate the metamorphed Silvertail for the next person going through the trial of the Key to the Garden of Thrak. 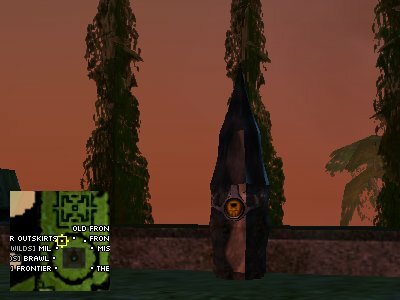 After having claimed the souls of three Dreaming Silvertail go back to the Unredeemed Garden and talk with Hypnagogic Urga-Lum Thrak, show the Ancient Device again and he'll give you the key as a reward for your effort. Congratulations on your first and possibly most useful key to a garden. Please have a look at Traveling through the Shadowlands for the reason I consider it the most useful key. 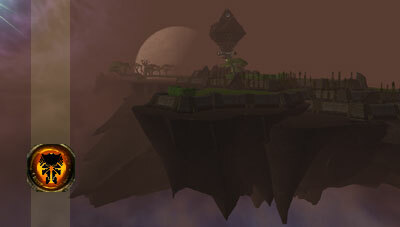 Information originally provided by Hyloth at the Official AO Forums. New information by Ukblizzard following NPC Changes.